If you're lucky, you'll install or upgrade to Windows 10 and the system will activate automatically, or as soon as you type in the 25-character product key – that confirms that you have a legal copy of Windows that you're entitled to use, which will get security updates and new features. But for some users, Windows 10 isn't activating properly. Here's how to fix that. Depending on how you get Windows 10, in some cases you're not supposed to need to type in a product key. If you were running a legitimate copy of Windows 7 or 8.1, or you're using a Windows 10 Insider Preview flight on a PC that has been activated with an earlier version of Windows, then the activation is done automatically and Windows stores what Microsoft calls a "digital entitlement" which marks the system as eligible to run Windows 10 by registering it with the Microsoft Product Activation Server. But you have to enter the product key if you're installing from a boxed copy or a digital download of Windows 10. 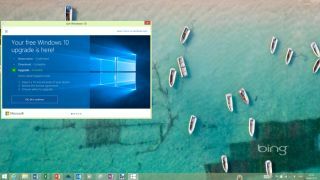 Even if you buy a new PC with Windows 10, it will have a record of the product key in the box, or on a sticker on the device. Keep that around because if you ever reinstall Windows 10 on that device, you'll need to type in the key again, even if you'd previously activated Windows 10. You also need to use the product key if you're activating a different version of Windows 10 – say if you upgrade from Windows 10 Home to Pro. If you were part of the Windows 10 Insider Preview before launch, you can't use the same product keys that you might have had for the technical preview; they won't even activate old builds any more. If you want to join the preview now, you have to upgrade to the release version of Windows 10 first and activate it, and then change your updates to Get Insider Builds. If you've upgraded to Windows 10 and then made major changes to your hardware – especially changing your motherboard, which counts for a lot of points in the scheme Microsoft uses to check if you're still using the same PC – then you'll have to activate by phoning Microsoft. This is usually painless, but you can't do it online. If you clean install Windows 10 (which often gives you a better result on problematic systems) instead of doing a simple in-place upgrade, you can run into problems activating. Rather than formatting your PC, do a factory reset and then install Windows 10 straight away, and activation should work – or do an in-place upgrade using an installer you create with the Windows 10 Media creation tool, then use the same media to do a clean install once you've successfully activated your copy of Windows and Microsoft has issued the digital entitlement for your PC. If you're installing from an ISO or media you've created, choose Upgrade this PC now rather than Install now – and make sure you're using the edition of Windows 10 that matches the edition you're upgrading from (32-bit or 64-bit and the Home or Pro flavour depending on what version of Windows you had before). However, starting with the Windows Insider build 10565, you can activate Windows 10 using a Windows 7, 8 or 8.1 product key. Choose Settings, Update & Security, then Activation, and select Change Product Key, or enter the key during setup if you're doing a clean install. Again, the edition of Windows 10 has to match the edition of Windows that the product key is for. You'll need a Windows 7 Pro or Ultimate, or a Windows 8 Pro key to activate Windows 10 Pro, for example. Some Windows 8 and 8.1 PCs have the OEM key stored in firmware and from build 10565 onwards, Windows 10 will use that for activation. Again, this will give your PC the new 'digital entitlement' for activating later builds or if you reinstall.